Report by Nishapati Nayak, Koraput: The Central University of Orissa, Koraput and The Council of Analytical Tribal Studies, Koraput signed a historic Memorandum of Understanding (MoU) to enhance the cooperation in the higher educational sector and tribal research development on 25.07.2017 at Koraput. 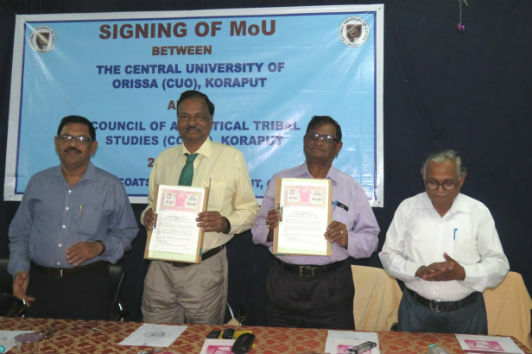 On behalf of the CUO Prof.Sachidananda Mohanty, Hon’ble Vice-Chancellor, CUO and on behalf of the COATS, Koraput, Prof. P.C Mohapatra, Director, COATS signed the MoU in presence of the top officials of the CUO and the COATS. The MoU was signed for 3 years and it will be extended with mutual agreement. While singing the MoU, Prof. Mohanty said “COATS is a pioneer in the tribal research of this region and it is a pleasure to be associate with it. For overall development of the tribal people this MoU is a welcome state and excellent beginning for both organization.”. 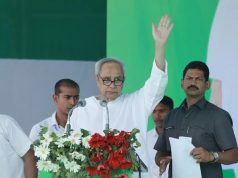 “We believe in healthy regionalism not in narrowness or in parochialism. Individually we sink but together we float and we can reach to the goal. We believe less in competition and more in cooperation. We are very much happy to sign the MoU” he added. Prof. Mohapatra said while signing the MoU “by signing the MoU not only the region but also other parts will be benefited. Documentation of cultural heritage of the undivided KBK district particularly tribes like Kandha, Gaddba etc. Documentation of folk songs, musical instruments and rights tribes followed in their life will be initiated with the co-operation of the Central University of the Orissa”. The objectives of this MoU are to promote and enhance academic interest between CUO and COATS. To provide expert advice and support for the overall development of Centre for Tribal Welfare and Community Development of CUO into a Centre of Excellence in Tribal studies. To promote collaborative research activities between the institutions as well as with institutions of national and international repute. To carry out joint research projects, exchange of students and faculty, exchange of academic information and materials and to organize and participate in joint academic activities such as courses, conferences, seminars, workshops, symposia, lectures etc. Organizing skill development training programme at CTWCD of CUO for local tribal. Joint supervision of PG, M.Phil and Ph.D. thesis of students of School of Social Science as and when required as per the norms of the CUO for Co-supervisor. Prof. Bhavani Prasad Rath, OSD, Administration, Examination and Students affairs of the University highlighted some aspects of the MoU and Dr. Jagabandhu Samal, Consultant COATS informed on the benefits of the MoU. Prof. K.C Raut, Dean Academics delivered the welcome address and Dr. Kapila Khemundu, Hony. 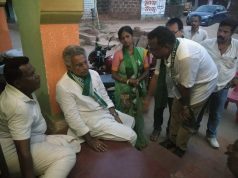 Director of CTWCD, Central University of Orissa, Koraput and Asst. Professor, Department of Sociology gave the vote of thanks. Among others Dr. Sarat Kumar Palita, Dean School of Bio-Diversity and Conservation of Natural Resources was present. 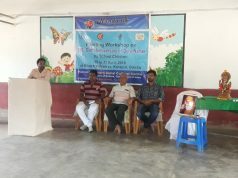 The programme was coordinate by Dr. Phagunath Bhoi, PRO and management of COATS. On this occasion top officials of both the organization, noted academicians and member of press were present.